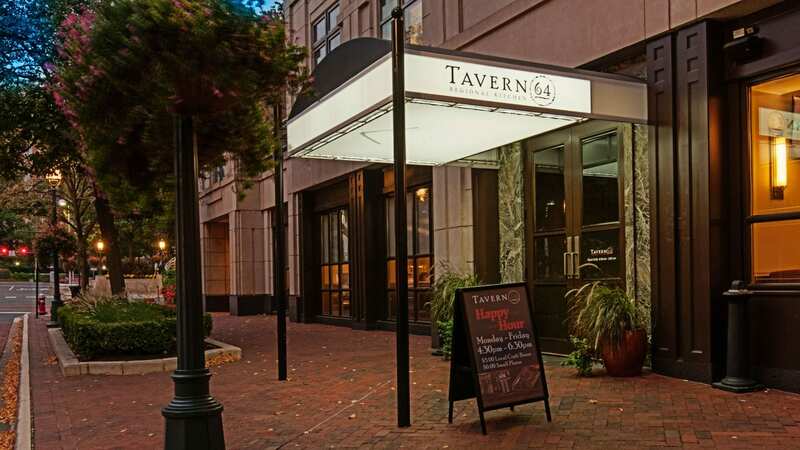 Experience locavore dining at one of Reston’s favorite foodie restaurants in Reston Town Center, Tavern 64. 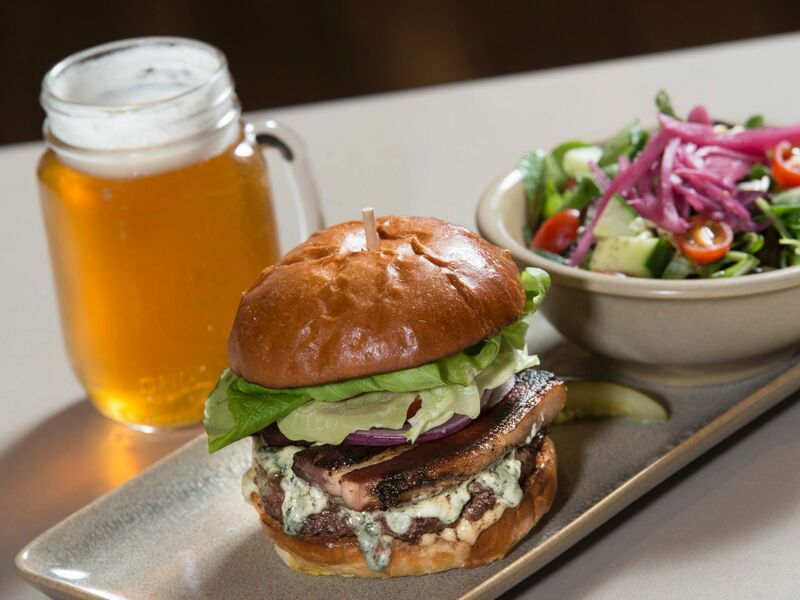 Featuring a menu focused on farms and food purveyors in Northern Virginia, along with a local-favorite weekend brunch, there’s no better place to gather for farm-to-table cuisine in Reston. 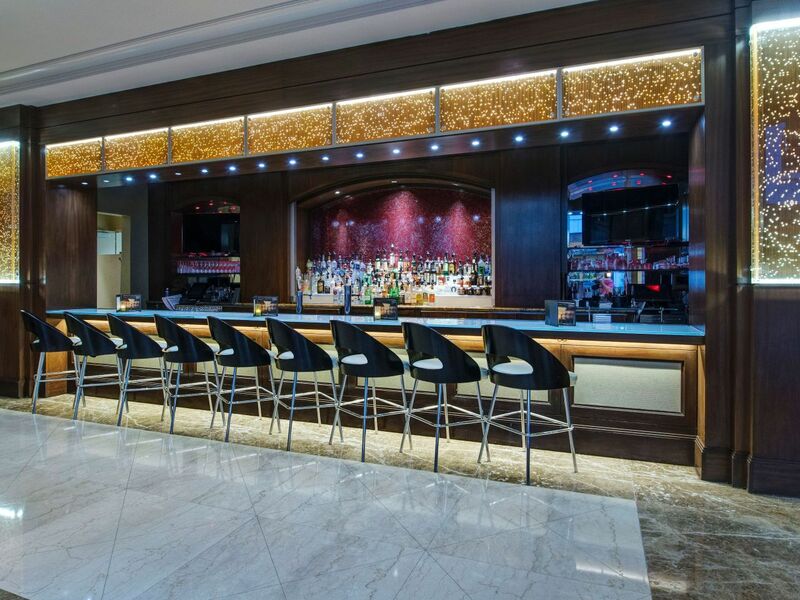 For stylish drinks and signature cocktails, the Lobby Bar and Lounge at Hyatt Regency Reston is the place to meet. Chef-driven menus are available for sumptuous in-room dining. Feast on classic American fare with chef-driven flair. 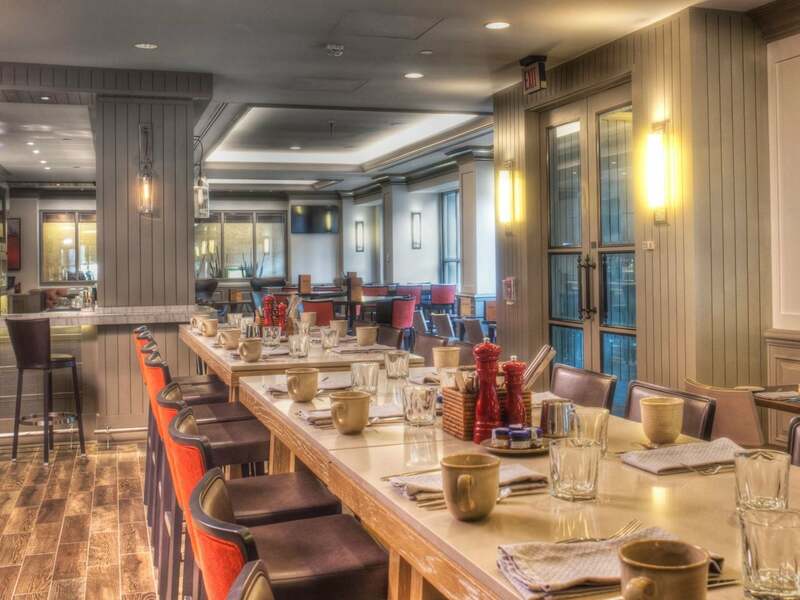 With a focus on locally sourced ingredients, Tavern 64 showcases the bounty of Northern Virginia farms and food purveyors in all-day menus, including a traditional weekend brunch. Indulge in cocktails, craft beers, vintage wines, and small-batch spirits to complement the farm-to-fork cuisine. Brunch: Saturday and Sunday, 11:00 a.m.–3:00 p.m.
Meet for elegant drinks and elevated light bites and appetizers at this trendy bar and lounge. Featuring an open and inviting design punctuated by stylish lighting and decor, the Lobby Bar and Lounge is a perfect place to meet and mingle in Reston. Hyatt Regency Reston offers a comprehensive in-room menu to suit your needs.